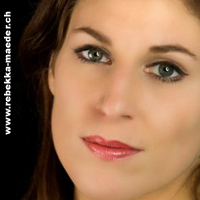 International Soprano with a vast and varied repertoire (from Bach, Handel up to Mendelsshon, Offenbach, Ravel and Leonard Bernstein), through the years you have been building a really impressive Mozartian repertoire: 5 Mozart's operas, 8 masses, Davidde penitente and many other Sacred Music Works by him. What attracted and what attracts you the most in Mozart's music? 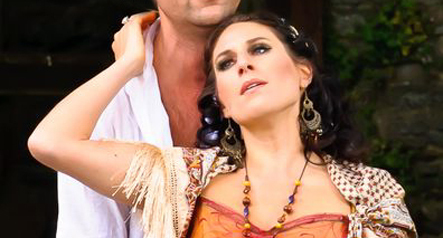 What Mozartian opera character do you like the most of those you have interpreted? And why? What Sacred music Vocal part do you like the most of the many Mozartian Sacred Works you have interpreted? And why? He knew exactly how to deal with the human voice... how he had to write for each character in order to make it possible for the singer to show all the colours and all that necessary diversification that not only effectively builds the character but also makes the character well defined and interesting. Moreover, the orchestration is written by Mozart in a very clever way, so that it never arrives to an excess of demand from the singer. Personally, I do really love the elegance of Mozart’s melodies and how he musically builds up the characters in his Operas. The characters in Mozart's operas, which I have interpreted so far, with the exception of the Queen of the Night, show some similarities: young, adult ladies of nobility, confronted with the themes of love, loyalty and betrayal. Mozart's operas are mostly about the emotional entanglements with which the aristocratic population has to deal with in everyday’s life: love and fidelity, desire and adventure, power and resignation. Therefore, a decision about my favourite Mozartian character is not easy at all... you see, it much depends on the profundity of a character and on the actual musical part, as well. Of course, the Queen of the Night (The Magic Flute) has such a special value and such an intrinsic charm of its own: the great concentration of emotions, the high drama and also the vocal technical challenge... And all this must happen on stage and in music in a very short time... she has 3 shows in the whole opera: 2 arias of approx. 4min each and an ensemble at the end. Within these short periods, all these characterizing factors must perfectly emerge from your interpretation. This challenge is always a motive of great enchantment and it is always such a great joy to accomplish your performance of this character. In the field of sacred music, I love the Mozart's Great Mass in C Minor in a special manner. In your Repertoire you have also many works by Joseph Haydn: The Creation, The Seasons and 5 Masses. What kind of interest led you to his music? What are your considerations on Haydn's vocal parts in his masses and in his oratorios? Haydn's music is a great playing field for me as a singer! Sometimes arias are written in a way, that really recalls the Lied or Song technique, and can have a very catchy, almost folkish tone, but then... they can be highly virtuosic again. An extraordinary example of this is his work The Creation in which his compositional mastery really stands out in all its glorious might... just not to mention that magnificent musical conception of chaos at the very beginning of his work. Haydn really manages to break the rigid forms of baroque oratorios... and in such a pioneering way! In your repertoire, apart from Handel's works and Beethoven's works, you have many important composers of the second half of the 18th century/beginning 19th century. Among them we remember Mozart's friend and mentor Josef Myslivecek, Mozart's and Haydn's great pupil Hummel with his masses, the brother of Haydn and Mozart's friend M. Haydn and also Gossec. What can you tell us about your interest in these composers and in their music? What led you to add them to your repertoire and which one of them do you consider the most interesting composer? Nevertheless, usually the theatres and conductors are those who make their first choice, as far as the composer and the work are concerned... and this gives me the lucky opportunity to know and sing music works, which I just did not know. This alone arouses my interest, especially when we are considering composers of these epochs and when such composers, like Myslivecek, are also well associated with Mozart. This connection, not only in terms of teachers and pupils, but also friendships and competitions, often has a great influence on the composer's musical work. Since these composers are very different one from the other, frankly I cannot say which one of them I consider the most interesting. You see, an important attitude for me is not to evaluate everything in life in a too sharp manner. It's not just about what is now more meaningful and important, more intelligent, more virtuous, or more perfect. People are not perfect, in any respect. So I just try to grasp what I find in music, in terms of what is offered to be grasped, and I try to give it that meaning, the music itself wants and tries to express: sometimes this is really very much and of a complex nature, sometimes it is just simple and even, so to speak, casual. In any case, I must say that, in particular, the works Abramo and Isacco by Myslivecek and also Gossec's Grande messe des morts have been particularly touching to me. This year 2017 you are presenting Haydn's St.Cecilia Mass (June), Mozart's Così fan tutte (May-July), a full Mozartian program (September) and a Schubert Mass in November plus masses by Mozart (April) and Scarlatti (March) and Schumann and Mendelssohn. You also collaborate with various projects and ensembles and you are also a regular guest at various Music Festivals. So what can you tell us about your current and future projects? And what your suggestions to young singers who want to build a repertoire on MozartEra music? 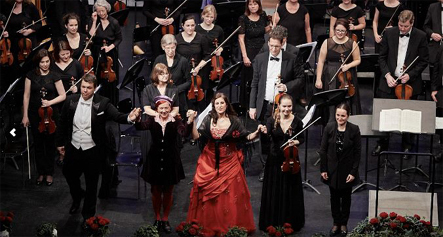 Of course, concerts such as Haydn's Cäcilienmesse, the Mendelssohn concerts in May and the Schubert Mass in November are impressive sonorous experiences, as they can fill a concert hall or a large church with a large orchestra and choir. To make music with so many people is also a great accomplishment and it is also always so exciting to work with the different levels of the choirs... I mean, to work with professional musicians is an utterly different experience from working with non-professional choirs and often, when church music is involved, both experiences just incredibly meet each other. If one is underestimated, i.e. not being heard, this can have a reason which can be found in the very singer... the interior does not want to show itself, although it could. It is always a fundamental matter of balance. Next year, one of his works The Saviour's Last Hours will be performed. Name a neglected piece of music of the 18th century you'd like to see performed in concert with more frequency, especially thanks to your special experience as a MozartEra musician, performer and connoisseur. 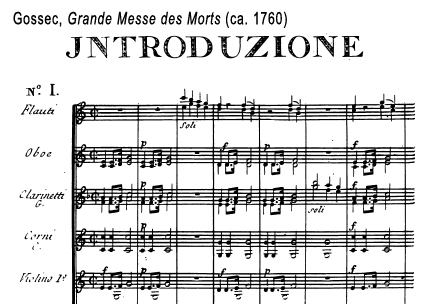 For instance, Gossec's Grande messe des morts or Hummel's Mass in D Minor. Mozart's letters are really wonderful to get an authentic impression of his world... They say a lot about the spirit of his time and about his own character.